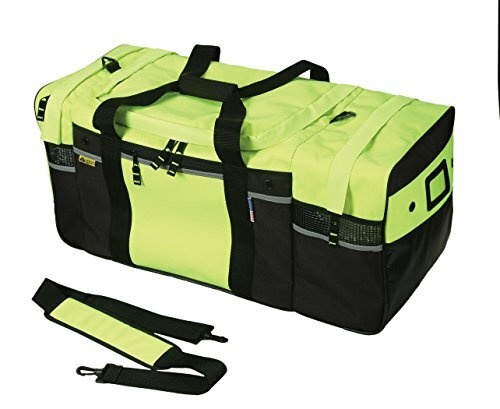 Safety Depot Turnout Gear Bag has Sturdy webbing handles with Velcro Closure and removable shoulder strap. ID pocket and reflective lining is added for increased visibility. 32" (W) x 15 "(D) x 15" (H), 3.5 lbs. Functionality: 3 Large ventilated compartments and 2 zip pockets for more and easy storage and transportation. U-shaped, heavy duty zip opening at top for main compartment. 32" (W) x 15 "(D) x 15" (H), 3.5 lbs. If you have any questions about this product by Safety Depot, contact us by completing and submitting the form below. If you are looking for a specif part number, please include it with your message.